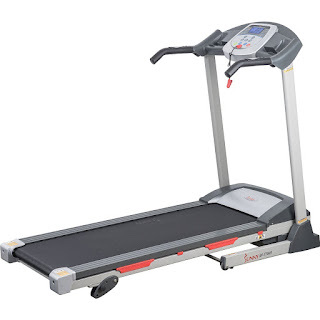 The Sunny Health & Fitness SF-T7603 is a great low-priced electric treadmill for home use. 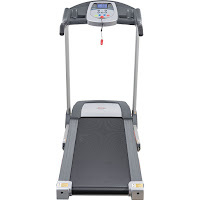 The Sunny Health & Fitness SF-T7603 features a powerful 2.2 HP peak DC motor and allows for speeds from 0.5 to 9 MPH. The running surface measures 16” wide x 49” long. 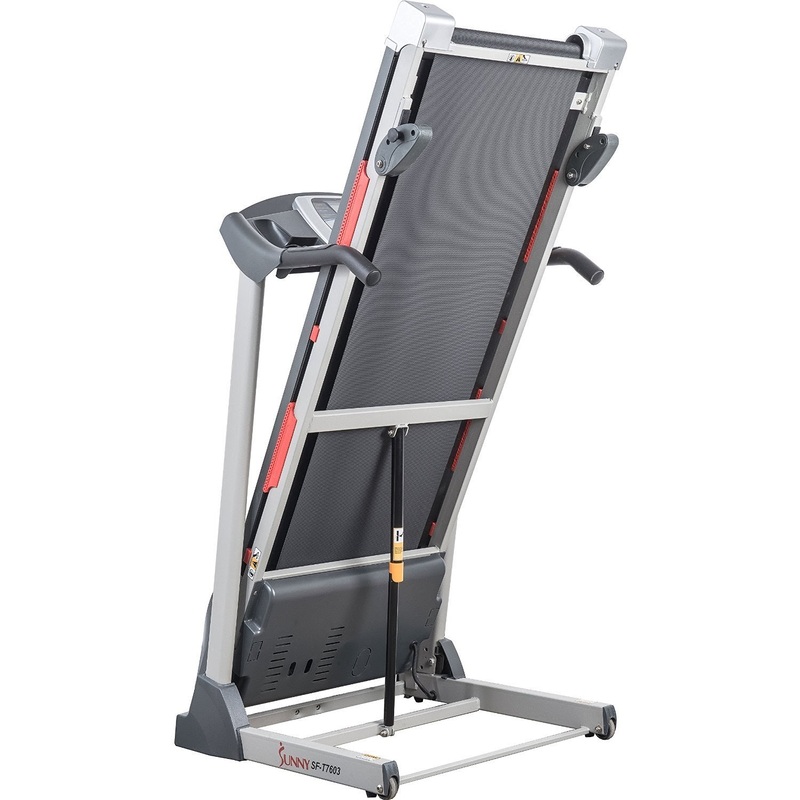 The Sunny SF-T7603 Treadmill offers lots of variety with 9 built-in programs for both beginners and advanced users and 3 manual adjustable incline levels for additional challenge. 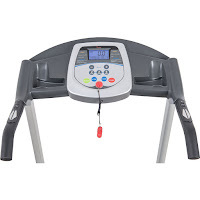 The Sunny SF-T7603 Treadmill features easy-to-reach handrail controls (on both left and right handrails) for quick adjusting of the speed and for controlling the start and stop of your workout. 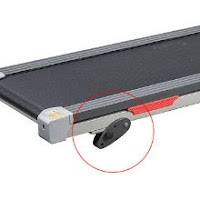 The handrails also incorporate contact-grip pulse sensors for measuring your heart-rate to help you stay within your target heart-rate zone. 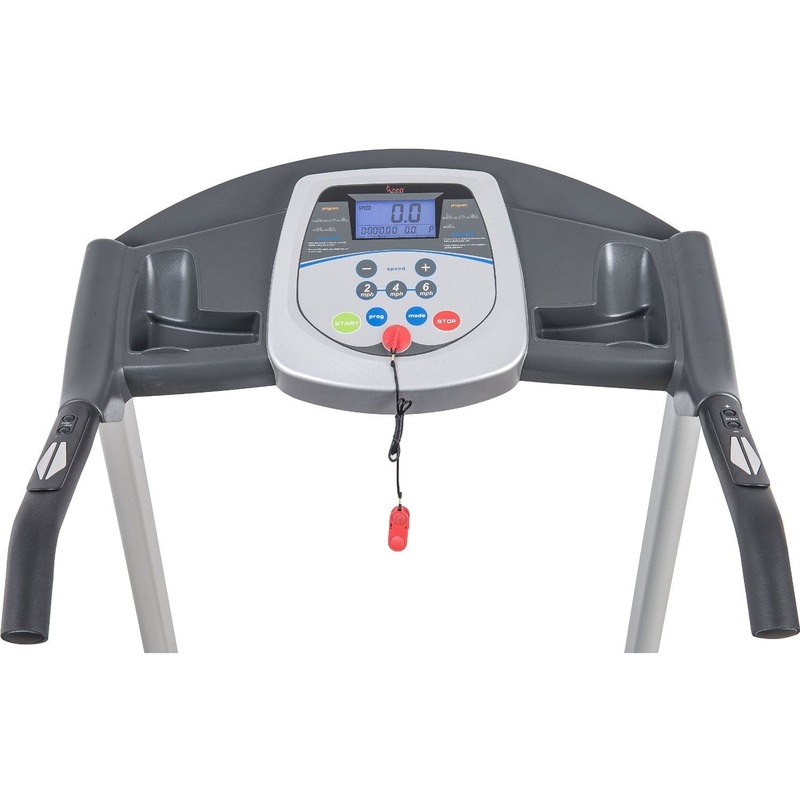 The Sunny Health & Fitness SF-T7603 comes with a simple-to-use console with a premium LCD screen that displays motivating workout stats as you exercise including time, speed, distance, calories and pulse. 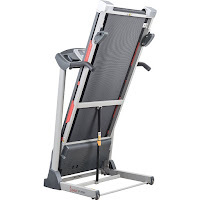 The Sunny Health & Fitness SF-T7603 Treadmill is a nice compact size (62x27x47”) making it ideal for home use, and features an easy Folding Soft Drop System to help save space when not in use and comes with transportation wheels for easy relocation and storage. 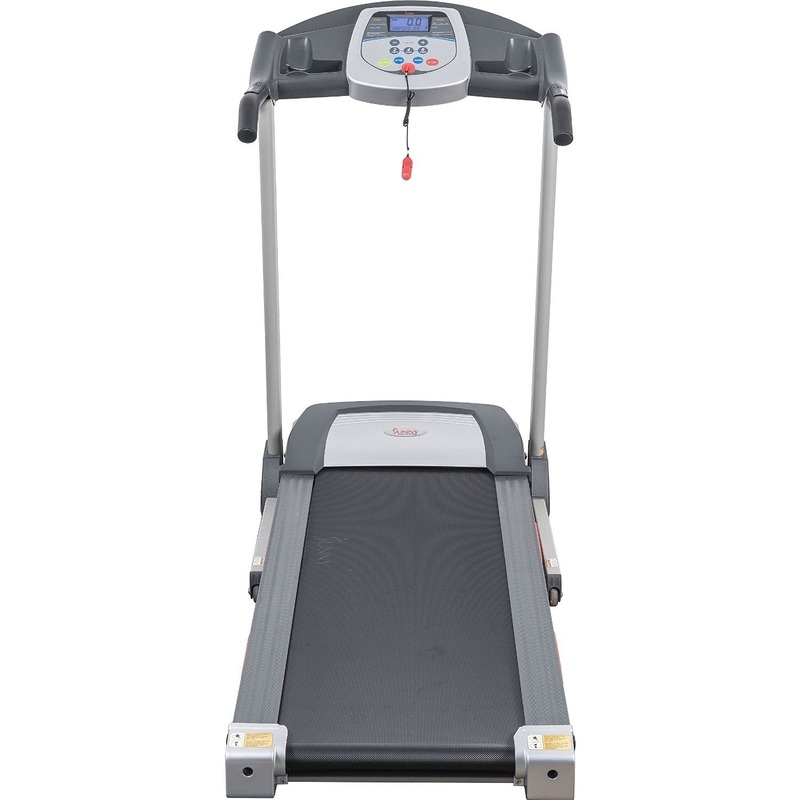 This treadmill is solidly constructed, allowing for a maximum user weight capacity of up to 220 lbs.